We love going out and about and meeting our supporters and re-homers. 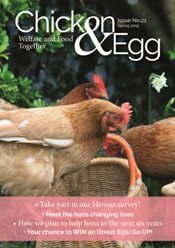 It is a great way of spreading the word about the work we do to save the lives of commercial laying hens. In 2016 we attended more events than ever before. Why not come along and say hello in 2017? We had a fantastic time at our first ever Countryfile Live event last year and have some great plans for this years show. We hope to see you there! Jeskyns will be celebrating their 10th birthday on Saturday, 02 July at Jeskyns Community Woodland. 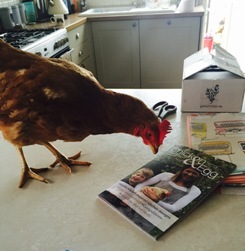 Come and visit our stand at Gardener's World Live this year to find out more about the great work we do and to meet some of our lovely hens! We had a great time at the Royal Cornwall Show last year and can't wait for this years event! The British Hen Welfare Trust attended the BVNA Congress 2016 - Find out how we got on. Powderham Castle is a beautiful location, set in a deer park on the edge of the Exe estuary. Gardeners' World 2016 was a fantastic event to be a part of. See what we introduced at this year's show! We had a great time at the Royal Cornwall show this year - See some pictures from the event and find out how we got on. The Royal Bath & West Show is England's Biggest Celebration of Rural Life and England's only 4 day Royal Show. You'll find us nestled in 'The Chicken Coop', along with our friends from Poultry Talk.